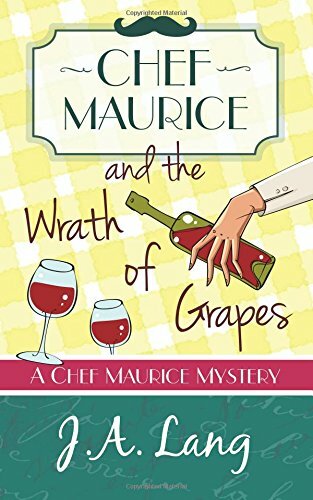 An invitation to dinner at the home of renowned wine collector Sir William Burton-Trent soon finds Chef Maurice in the middle of an all-too-real murder mystery party, when Sir William is found dead in his own wine cellar. The guests are acting all innocent, but which one is only playing the part? The pushy Californian film director? The seductive French winemaker? Or could it be, against all narrative decency, the butler who did it? J.A. 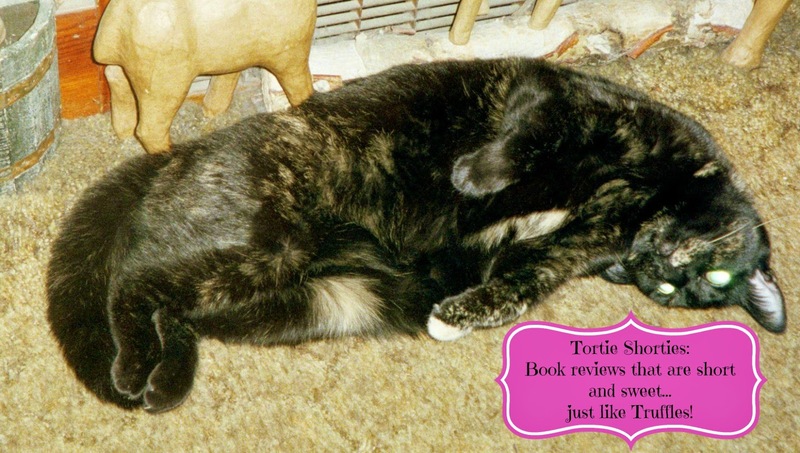 Lang has perfected the art of the classic cozy with her brilliant Chef Maurice mystery series. The action of this second book takes place when Maurice and restaurant critic Arthur are invited to the home of wine collector Sir William Burton-Trent. Bourne Hall is the quintessential country manor, and with a blizzard outside the chilling atmosphere is off the charts. Before the night is over Sir William is murdered in his very own wine cellar. Hidden passageways and a locked door with only two keys, one with the victim's body and the other in a safe, make for a very compelling mystery. And with a cast of quirky suspects straight out of an Agatha Christie story, I was kept guessing until the very end. Completing this mouth-watering feast is a touch of humor (provided by the precious Hamilton the pig and a frozen goose) and a dash of romance between Patrick and PC Lucy. Go on holiday to the Cotswolds area of England through the pages of this delightful book and it's predecessor, Chef Maurice and a Spot of Truffle. J.A. 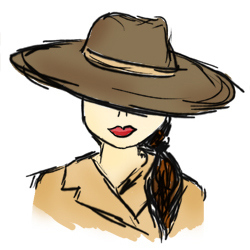 Lang is a British mystery writer, and author of the Chef Maurice Mysteries series. She lives in Oxford, England, with her husband, an excessive number of cookbooks, and a sourdough starter named Bob. 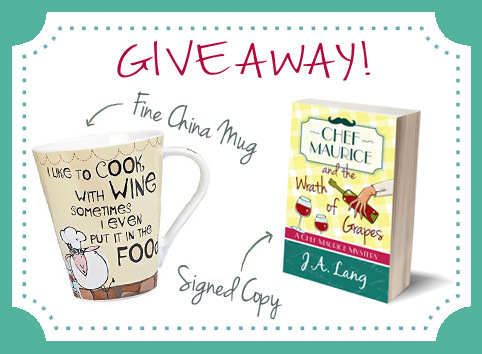 Visit the author's website at http://www.jalang.net/chef-maurice-giveaway/ to enter this fun giveaway! Sounds like a fun mystery! Thank you Melissa for sharing. Sounds interesting. I love a good British mystery. Thanks, Melissa...this does sound good! British murder mystery with food, sounds good. Sounds like a wonderful mystery! And the Author sounds cool! mes thought my Mommy's Mommy was the only person who named her sourdough started (it was called Dora after my Grampie's sister).